Great curb appeal welcomes you into this custom home with mountain views. As you enter the home you will see the amazing architecture designed ceilings throughout, stone and wood flooring, rounded windows to showcase the mountain views, custom hand painted touches give warmth and a custom designed finish. The chef’s kitchen features Viking appliances, beautiful alder cabinetry, granite counter tops,kitchen island and additional table top. The master bedroom retreat has a fireplace for cooler desert evenings, custom stone walk-in shower and large tub with stone features around, Large walk-in closet with custom built-ins. Secondary bedrooms are oversized with walk-in closets and bathrooms with stone accents. Enjoy entertaining family and friends in this amazing home. Directions: North on 47th Ave, West on Creedance to the home on the South side of street. Approximate size: 46157.00 sq. ft. Please, send me more information on this property: MLS# 5821102 – $1,345,000 – 4721 W Creedance Boulevard, Glendale, AZ 85310. 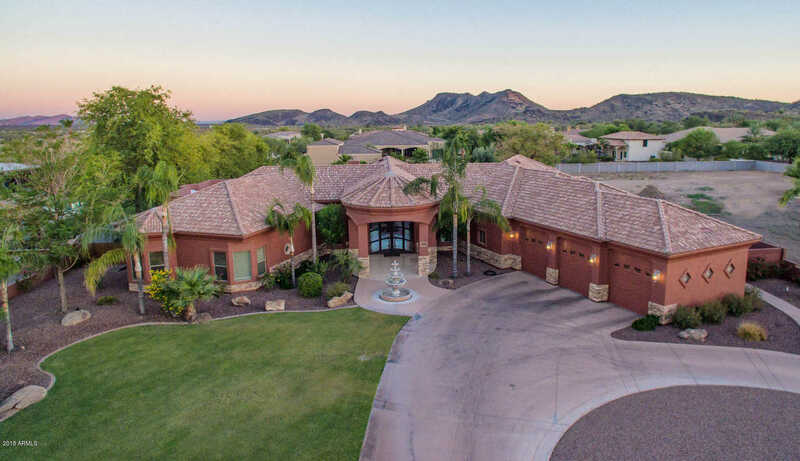 I would like to schedule a private showing for this property: MLS# 5821102 – $1,345,000 – 4721 W Creedance Boulevard, Glendale, AZ 85310.